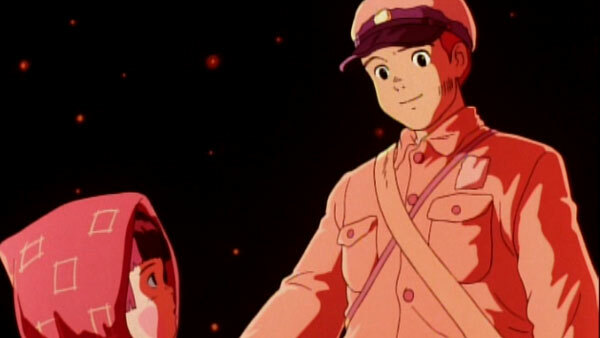 Connecting a Top 5 List to this week’s post about Grave of the Fireflies was difficult. I’ve already covered Japanese films and anime, so I decided to focus on the excellent year of 1988. There was a good mix of big-budget and smaller films during that year, which occurred during the prime of the blockbuster. There still are plenty of movies that I haven’t seen yet from 1988, particularly independent and foreign films. The five (actually seven) picks come from the approximately 30 choices that I’ve caught so far. I’m pleased with this list but realize it’s obviously incomplete. Examples of movies that I haven’t seen yet include The Accused, Gorillas in the Mist, Rambo 3, Another Woman, and Action Jackson. 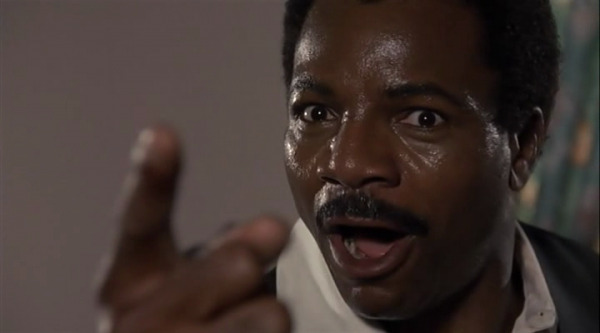 I’m expecting a scolding below in the comments section for not checking out the Carl Weathers action thriller. Let’s check out the list to see what else is missing! 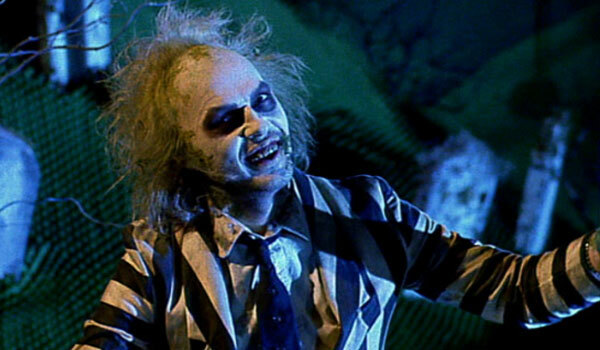 Tim Burton’s highly original comedy Beetlejuice is definitely a movie that I need to revisit soon. I watched it a few times years ago but expect I’d enjoy its dark humor even more today. Michael Keaton is nearly unrecognizable as the nasty title character that remains an iconic figure today. Living in a much-different realm is Martin Scorsese’s epic and controversial look at the life of Jesus Christ. Although it angered some viewers, I believe it’s one of the most convincing stories of Jesus ever put on screen. Willem Defoe does a remarkable job in the role and shows us the human side of the holy figure. I adore much of John Carpenter’s work, and his run during the ‘70s and ‘80s includes a series of classic movies. 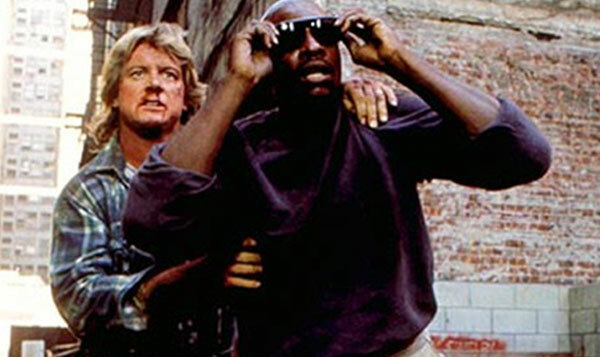 One of my favorites is They Live, which stars Roddy Piper as a drifter who discovers the existence of aliens by pure chance. Sunglasses reveal their hidden presence in our world and the subliminal messages that keep humanity subservient. Functioning both as a dark comedy and as a convincing sci-fi thriller, it includes one of the great hand-to-hand fights in movie history. Piper and his buddy played by Keith David use all types of wrestling moves in a battle that goes on for a very long time. Carpenter use this genre film to attack the excesses of Reagan-era greed and delivers a highly entertaining movie. I watched this tragic story from Isao Takahata this week, and it already ranks among the most powerful war movies that I’ve seen. Instead of focusing on the soldiers, Grave of the Fireflies gives an intimate look at a teenage boy and his four-year-old sister trying to survive after their mom is killed. Even if they avoid the firebombing, the larger threat is malnutrition because resources are so thin. It’s an extremely sad movie, but there are moments of beauty and grace that keep it from becoming too morose. This Penny Marshall comedy is incredibly charming and includes one of Tom Hanks’ classic roles. He’s the perfect choice to play a 12-year-old trapped in a 30-year-old’s body, and the story never hits a wrong note. This is one of those movies that you can watch over and over and still enjoy because it’s such a fun experience. Classic movie moments like playing the giant keyboard with Robert Loggia at FAO Schwartz still work, and the romance is strangely effective. It’s a bit creepy when you think about it, but Marshall never delves too far into that realm of the story. 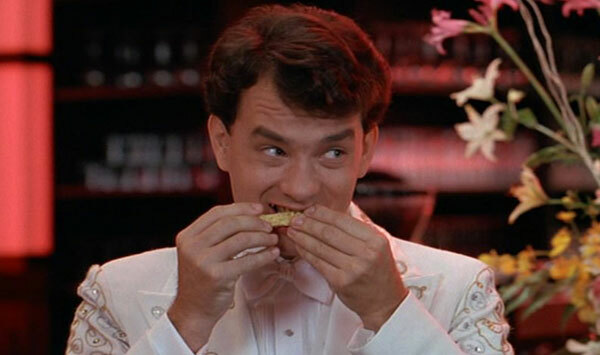 It’s a fairly tale with plenty of humor that works because of Hanks’ wonderful performance. I really wish he could find another truly funny role soon (Larry Crowne doesn’t count) that really takes advantage of his comic skills. Plenty has been written about the effect John McTiernan’s classic action film had on the genre. It spawned numerous imitators that took the premise and transferred it to a cruise liner, a train, a plane, and even a high-tech prison. It also differed from the huge-muscled action stars like Stallone and Schwarzenegger and presented a regular guy as the lead. The diminishing creative returns of the sequels don’t take away from just how awesome the original still is today. Along with providing great action and a star-making performance from Bruce Willis, it also functions as an excellent heist film. Alan Rickman’s Hans Gruber is one of the great movie villains, and the combination of humor and action works perfectly. This one is a sentimental pick because of my love for John Sayles, but it also stands up really well as an excellent film. It’s my favorite baseball movie and contains a stellar young cast with John Cusack, David Strathairn, D.B. Sweeney, and even an understated Charlie Sheen. The story of the Black Sox scandal avoids the typical clichés and doesn’t condemn the players as obvious villains. Instead, it presents the reasons why a group of them decided to throw the series and the corruption involved in the sport. It’s a fascinating film that’s also really entertaining, which is a tricky combination. The period styles are excellent too, and Sayles creates a convincing look at the early days of baseball. I'd love to hear your thoughts about this list. What are your favorite movies of 1988? You should also check out the archive of past Top 5 Lists if you've missed them. Next week, I'll continue the Readers' Choice Marathon with the original Gone in 60 Seconds, which does not star Nicolas Cage. Love the list. My writing partner and I have actually had a lot of discussions on 1988 being a particularly great year for movies. Dave, I agree about 1988. I didn't even mention Rain Man, The Naked Gun, Pelle the Conqueror, Bull Durham, and a bunch of others. My favourite film decade. Difficult to pick my favourite year though. Off the top of my head I seem to think 85 or 86 were particularly good. Nice choices here Dan. Interesting that Eight Men Out tops the list with so many great ones to choose from. Dan, the '80s is my favorite because I grew up during that time. Also, there are just so many great films that it's hard to top. I'm not sure that 1988 is the best, but it's very strong. The middle years of '84 to '86 are hard to top. Eight Men Out is a personal favorite because of Sayles. I love the way he indicts the system more than the players but doesn't let them off the hook. Great list! You made me want to check out Eight Men Out. Also notable from that year is Who Framed Roger Rabbit, Scrooged, and Hairspray which I must mention being a Baltimore-native! An interesting year in film for sure. Thanks Jess! Glad to hear that you're thinking of checking out Eight Men Out. I'm sad to admit that I haven't seen Hairspray (either version), but I agree about the others. It's been a while since I've seen Who Framed Roger Rabbit, and I expect it would be even better now. 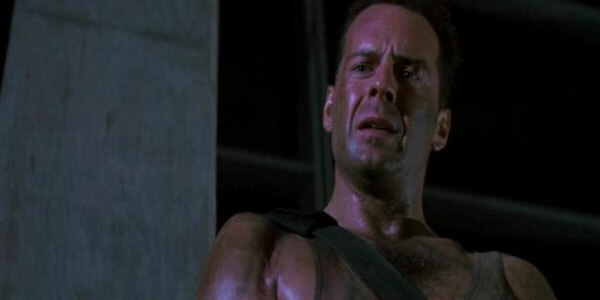 Curious to see any film that can top Die Hard on a list! Great choices and just reaffirmed my desire to see Grave of the Fireflies. Rating films is so subjective; I'm guessing that most people wouldn't put Eight Men Out over Die Hard. I still think it's definitely worth checking out, though. You should try to see Grave of the Fireflies, which is sad but really good. Yay for Die Hard, LOVE that first one w/ Hans Gruber. I'd also add 'A Fish Called Wanda' as it's such a hoot! Probably one of the funniest Kevin Kline roles. Ruth, I've seen A Fish Called Wanda, but it was on TV and a long time ago. I'm also not sure that I've seen the whole thing. From what I can remember, that's a great choice, though. Great list, Dan! So glad to see both They Live and Grave of the Fireflies included. 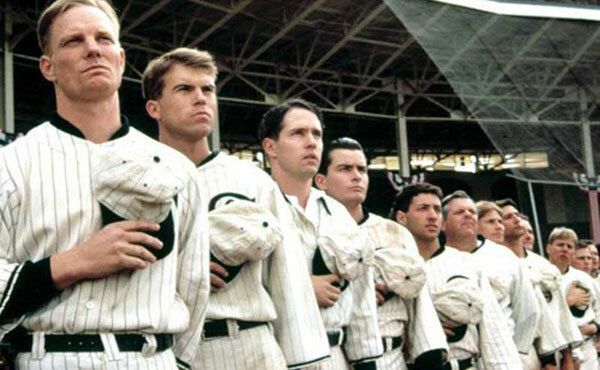 Thanks for the reminder on Eight Men Out, which has been in my Netflix queue forever. Not sure what's taken me so long to see it, especially given my love of baseball. Eric, I'm regularly surprised by how few people have seen Eight Men Out. Even when I hear raves about John Sayles, they rarely cover that movie. If you like baseball, I think it will be right up your alley. Thanks! I'm glad to see you give an honourable mention to "Beetlejuice." I remember watching that film over and over again. I just loved the dark, wacky world and all of its crazy characters. Like I said in the post, I really think Beetlejuice is a movie that I would probably enjoy even more if I watched it again today. There's a lot of great dark humor in it, and the oddball style works out really well. They Live is a great pick. Might be my favorite Carpenter, although Escape from New York and The Thing are also up there. James, They Live is right with Escape from New York and Big Trouble in Little China as my favorite Carpenter. I also really like The Thing, Halloween, and Assault on Precinct 13, so it's not easy to pick the best one. Also, I still need to check out both of those Kieslowski movies that you mention. Thanks! Ahh great choices here. I particularly love the Beetlejuice shout out - that's one of my all-time faves. A few from that year I love: The Thin Blue Line, The Vanishing, A Short Film About Killing, and most especially, Another Woman, by far my favorite Woody Allen movie. Great list Dan! And congrats on the LAMMY nomination! Thanks Alex! 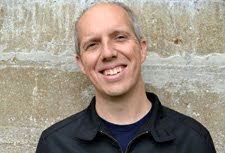 I have seen The Vanishing, and that's a great pick. The remake was okay, but it doesn't hold a candle to the original. Another Woman is in the group of Woody Allen films that I haven't seen. I'm definitely doing a marathon at some point in the future. First of all, They Live is a great choice. I came here to read this list and chew bubble gum, and I'm all out of bubble gum. Second, 1988 was a pivotal movie year for me as a movie fan. Rain Man was one of the first Oscar films I saw, Scrooged was a reward to my Jr. High class, Bull Durham was "the movie that my parents didn't want me to see but I saw anyway", and every kid I know quoted Coming to America. Third, I'm thrilled to see that you put Eight Men Out at #1. It's my favorite baseball movie and it's full of underrated performances- Studs Turkel, Sayles himself, and the army of up-and-coming actors that populated the 1919 White Sox roster. John, nice work with the They Live reference. That's a classic line. Rain Man was right on the edge of my list, and Bull Durham probably should have been mentioned somewhere too. I also saw Rain Man pretty early (on VHS the next year), and that viewing sticks with me. Finally, someone else who loves Eight Men Out! I think a lot of people haven't seen it, which is really too bad given the cast. It's also my favorite baseball movie and one of Sayles' top films, which is saying a lot.